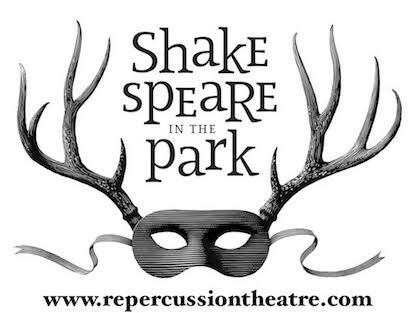 As part of our exploration of Shakespeare’s plays, Repercussion Theatre is committed to making the Bard’s works more accessible. Whether you are a theatre-maker or simply love reading Shakespeare, there are some wonderful resources out there to help increase and expand your understanding and enjoyment of the Bard. This site is the online version of the best-selling glossary and language companion, and is a terrific tool for theatre-makers and lovers of Shakespeare alike. It includes all of his plays and poems, a great searchable glossary, as well as other resources. Developed to showcase objects from the British Library’s collections and archives, and directed towards lifelong learners, the Discovering Literature website presents digital access to extant print materials and objects useful in contextualising Shakespeare’s works. Additionally, users can browse a wealth of critical articles, and educators can access study questions intended to supplement lesson plans. A study guide originally used as part of the company’s 2009 tour of Shakespeare Unplugged. The guide explores an actor’s approach to playing Shakespeare, looking at rhetoric, rhythm, sounds, and punctuation, with examples from various plays and sonnets. Providing a condensed, thematic approach to Shakespeare’s works, the OUP Illuminating Shakespearesite provides a broad range of educational material, including video, infographics, and interactive web content. An excellent jumping-off point for thinking about the Bard from a variety of perspectives, and considering the lasting impact of Shakespeare’s words. A site dedicated to providing all of Shakespeare’s works digitally and freely, allowing on-line browsing of sonnets, poetry, and plays, from All’s Well That Ends Well to The Winter’s Tale. OSS also offers a full concordance, facilitating word-by-word searches and linguistic analysis. Primarily concerned with archiving and tracking Canadian interactions and interpretations of Shakespeare, the CASP website provides a thorough archive and history, as well as an extensive collection of scholarly articles, interviews, and education resources for a range of learners.